Acupuncture has been used for thousands of years to reduce joint pain, swelling, and stiffness which comes from arthritis. Pain and stiffness are the most common symptoms from arthritis. Arthritis can effect both small joints, such as the hands and feet, as well as larger joints, such as the hips, back, knees, and shoulder. 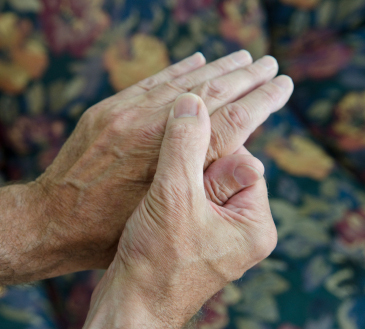 Arthritis may cause your joints to crack, swell, and have limited movement. Acupuncture works to relieve pain and stiffness of arthritis by stimulating the release of natural pain relievers, such as opioids, as well as regulating pain relieving opioid receptors. Acupuncture also changes the way the nervous system feels pain, helping to relieve pain for long periods of time. In addition, Acupuncture has an anti-inflammatory effect, reducing the circulating inflammatory hormones in the blood. Lack of circulation leads to pain, stiffness, and swelling. The goal of Acupuncture is to increase circulation and warm the joints to relieve pain and to help keep the pain at bay. If you are experiencing the pain and stiffness of arthritis, give us a call at Acupuncture Alternatives – 480 671 5178. We look forward to helping you get a better handle on the pain you experience.